Margaret Woodward Smith Boyd Shane grew up in a world of writers, wrote under several names, and became a best-selling author. Margaret Woodward Smith was born in 1895 in Indiana. Her mother, Grace Woodward Smith, was a former high school principal who wrote articles for the Delineator, a popular magazine for women. Her father, Duncan Smith, was a newspaper editor and publisher, later a humor columnist. She attended the University of Chicago and worked for newspapers in Chicago and St. Paul, Minn., before marrying Thomas A. Boyd, also a writer. By 1920, she was writing novels. A year later she produced “Lazy Laughter” and then “The Unpaid Piper” (1927). The couple came to Ridgefield in 1925 and bought a house on North Salem Road, which she retained after their divorce in 1929. She married another writer, Ted Shane, and as Peggy Shane she produced more novels including “Tangled Wives” (1932) and “Change Partners” (1934). The Shanes made their home in Ridgefield except during a stint in Hollywood, writing for movies. Peggy Shane lived most of her last 10 years in England and France, but fell ill and came back to Ridgefield where she died in 1965 at the age of 69. 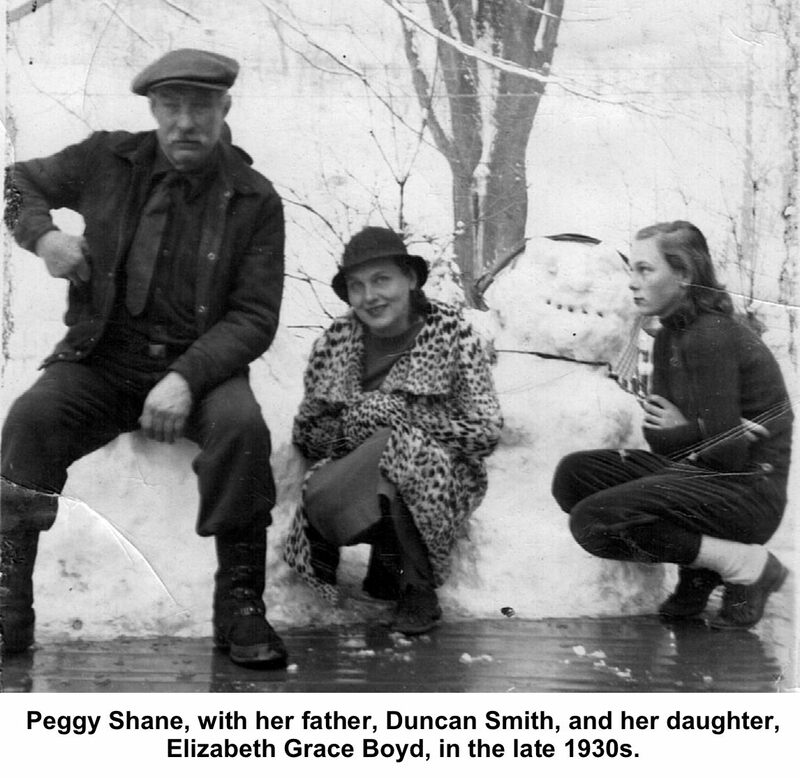 Her father was Duncan MacMillan Smith, also profiled in Who Was Who in Ridgefield. A Chicago journalist, he spent his last 25 years here and wrote the popular Ridgefield Press column, “A Birdseye View,” for many years. Her daughter, Elizabeth Boyd Nash, was an editor and co-owner of The Press for nearly 40 years. Her grandson, Thomas Boyd Nash, became the newspaper’s publisher.